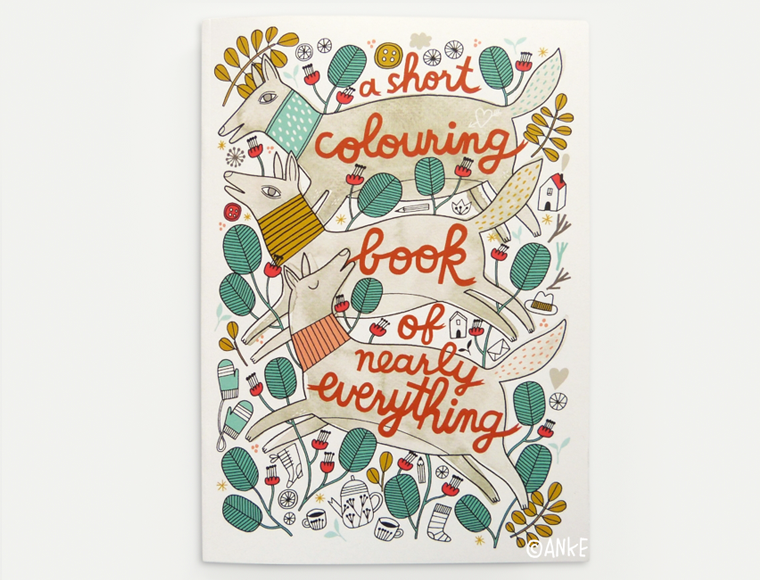 My colouring book! 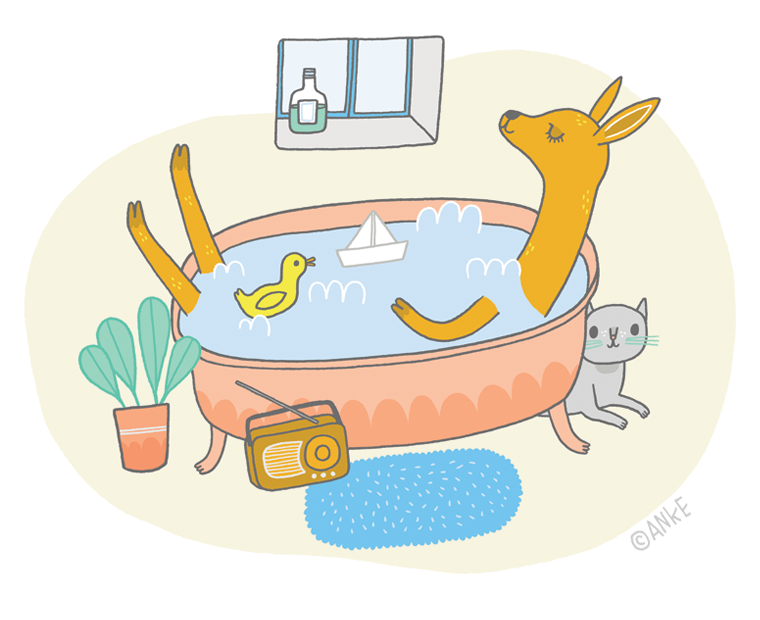 I added it to my Etsy shop a while ago but I haven't blogged about it yet! 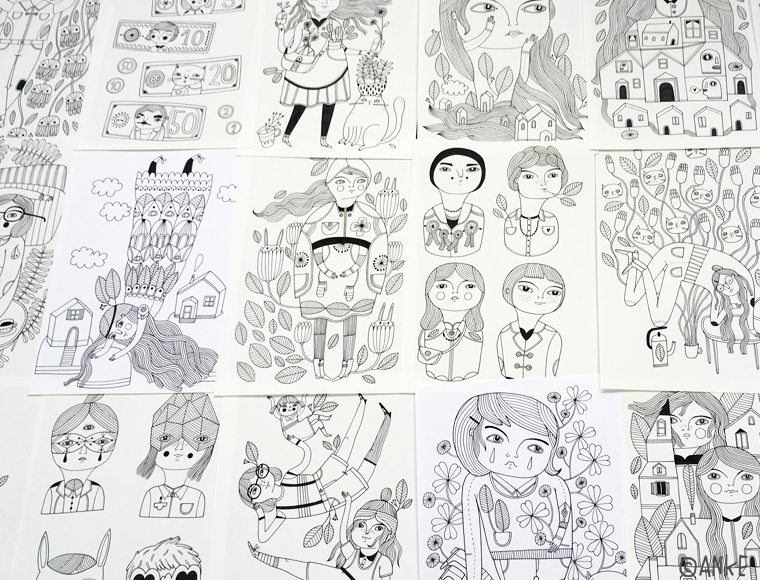 Maybe you remember that I drew all the ink illustrations as my Inktober project last October. 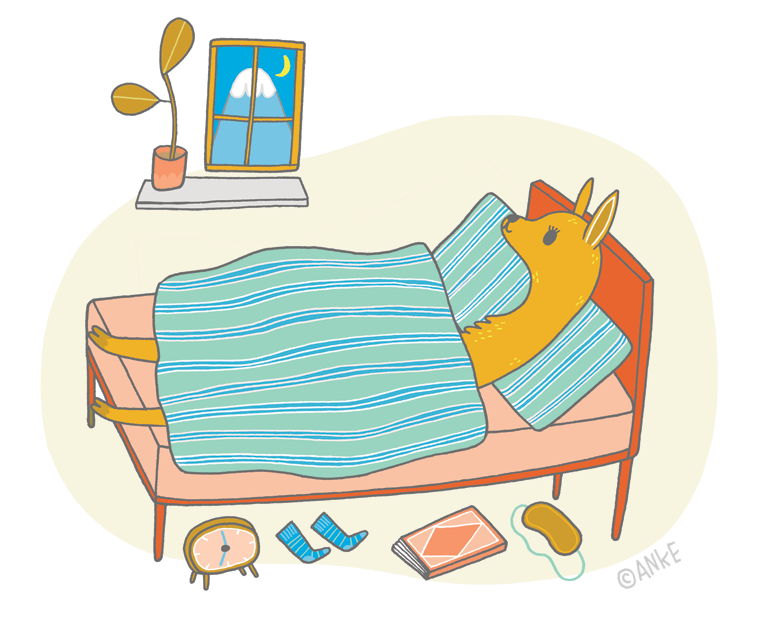 Every single day in October I sat down and made an illustration for this project. I documented the process of inking the drawings as time lapse videos, which you can see here on my YouTube channel! 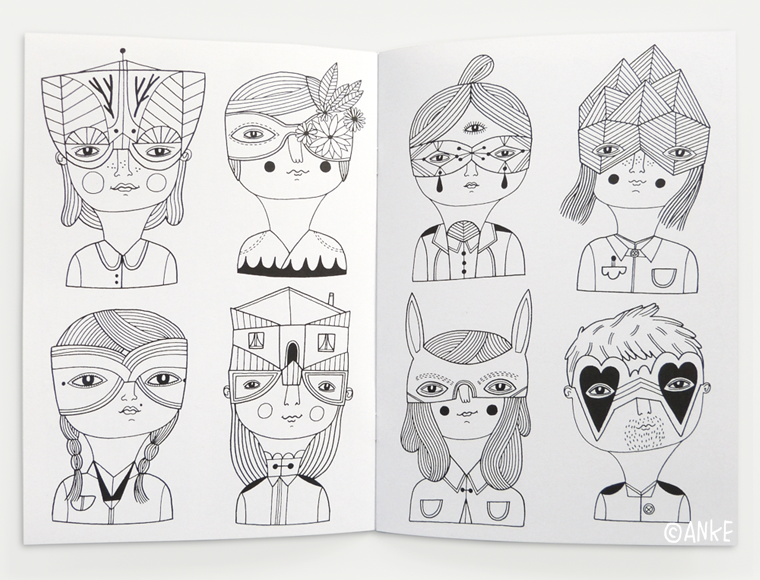 The reason it took months to get to the finished booklet was that I wanted to get the printing perfect. This was quite a challenge, not many printers seemed to have paper suitable for a colouring book - a paper you can draw on with both colouring pencils and felt tip pens without smudging too much or looking weird. After testing a lot of papers, I finally found the perfect one. Then there were problems with my files not printing correctly and I had to put everything together from scratch a few times. Phew! To be honest, there were several times where I just wanted to give up but I'm glad I didn't. I'm so happy with how it turned out. 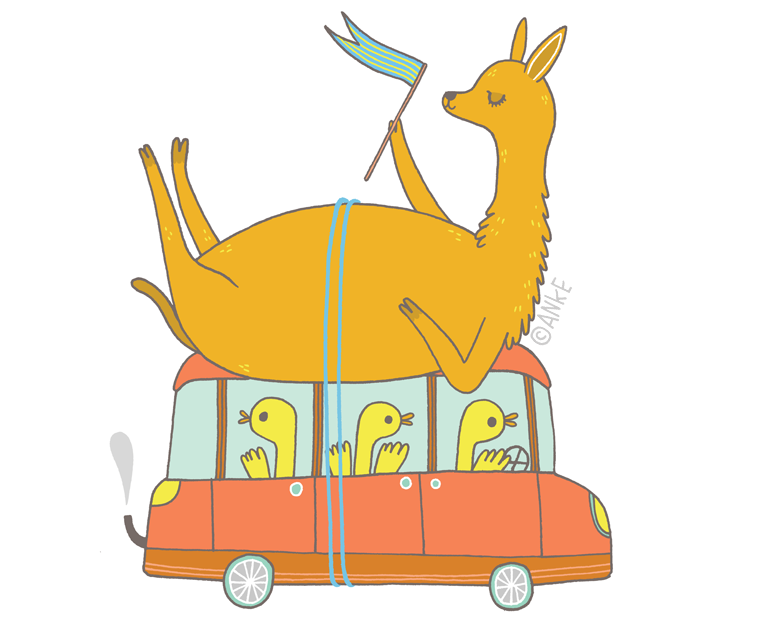 It's available here in my Etsy shop! 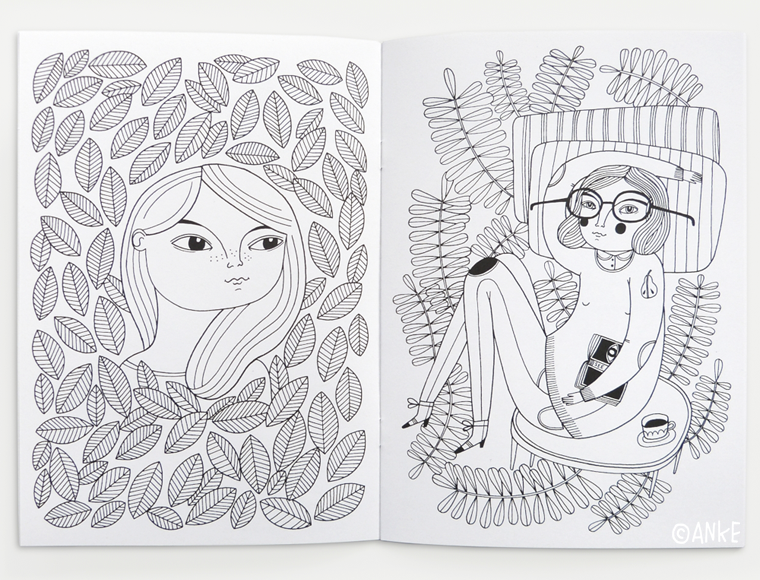 So this is the story of why everything took so long, but I think it was worth it and I hope you will enjoy colouring this book! I made a video where you can see some of the inside pages being coloured, it's on my YouTube channel. 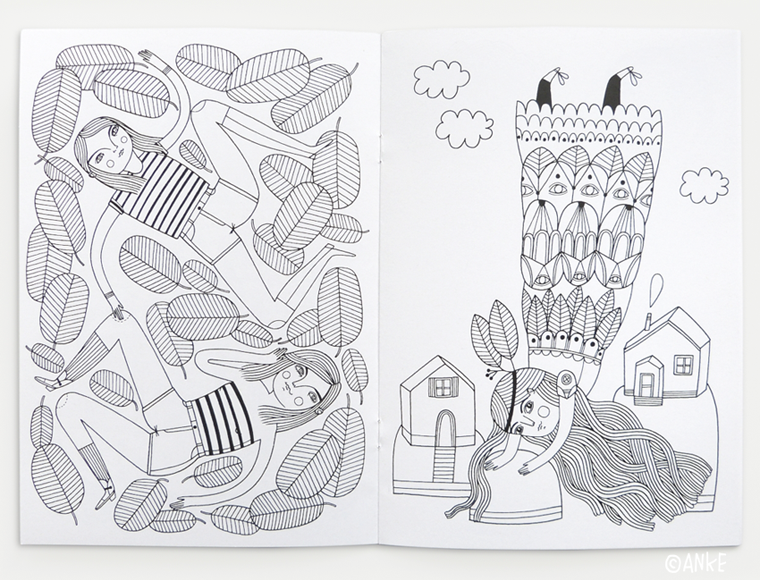 If you get the book I would love to see how you colour it! Post a picture if you like! I've been taking part in the MATS Bootcamp class over the last five months, because it's always fun to learn new things! 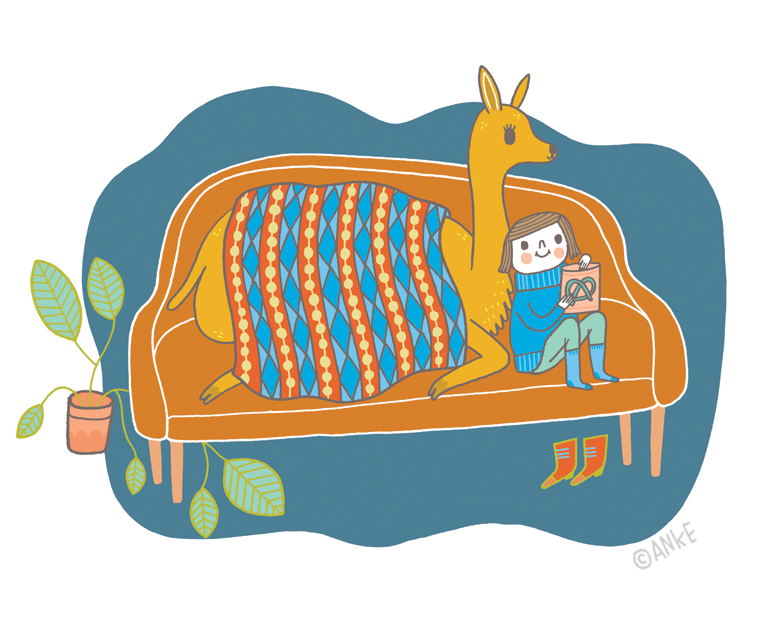 For June's assignment we were asked to develop a children's book character that is a vicuña, a relative of the llama which lives in the Andes. 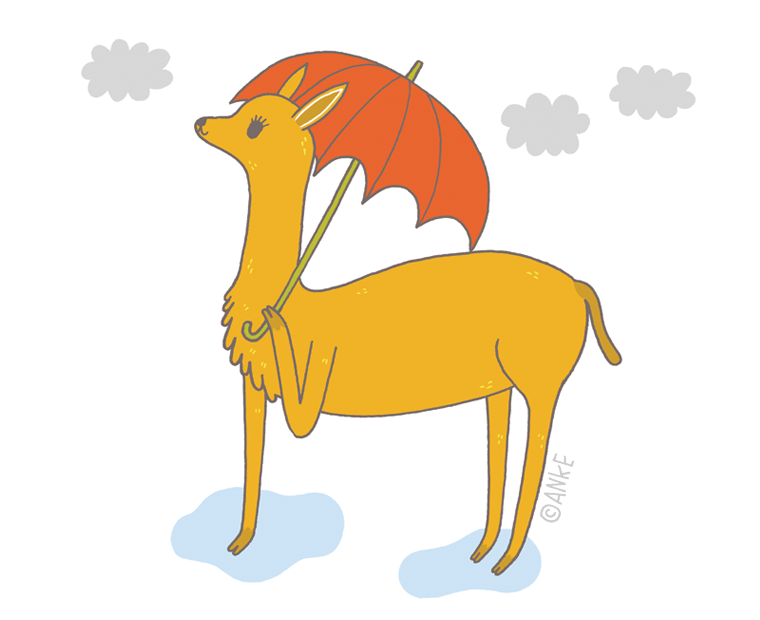 It's adorable! 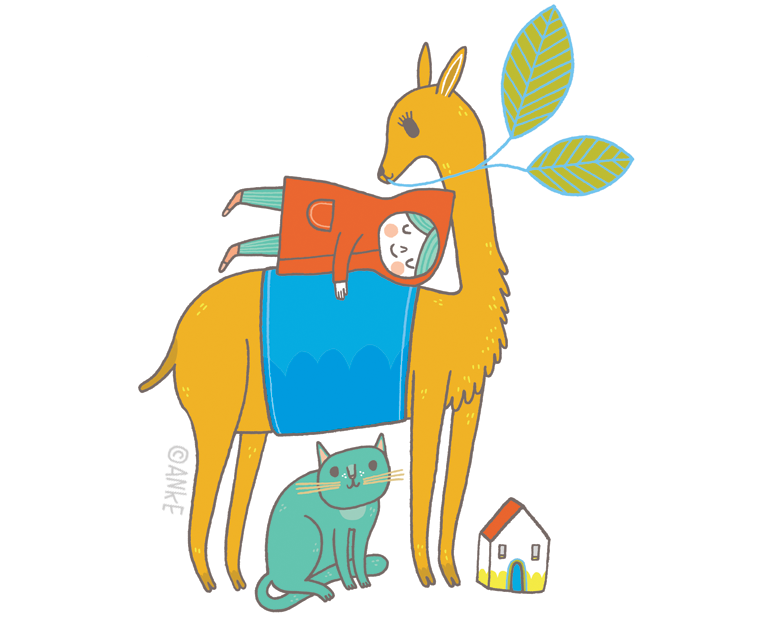 To make it my own I took this vicuña out of the Andes and brought it into my own world, where it instantly made friends with cats, ducks and happy children. 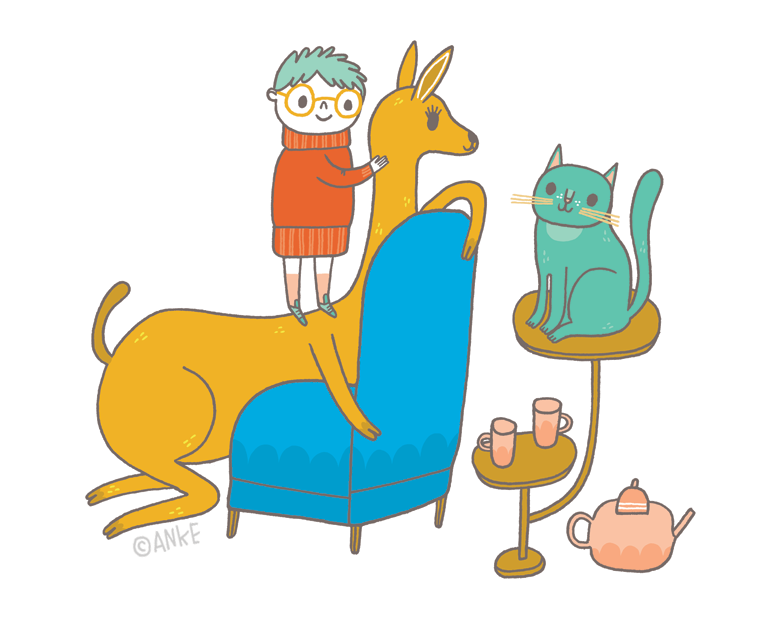 I ended up with quite a few little illustrations so I'm sharing them here. 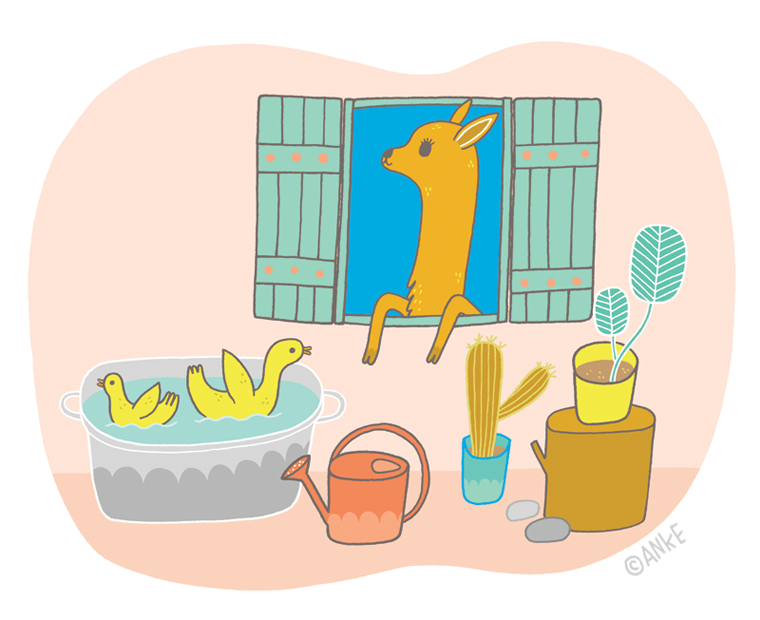 How has your summer been so far (or winter, if you're on the other side of the globe)? Potatoes! I love potatoes and eat them almost every day. 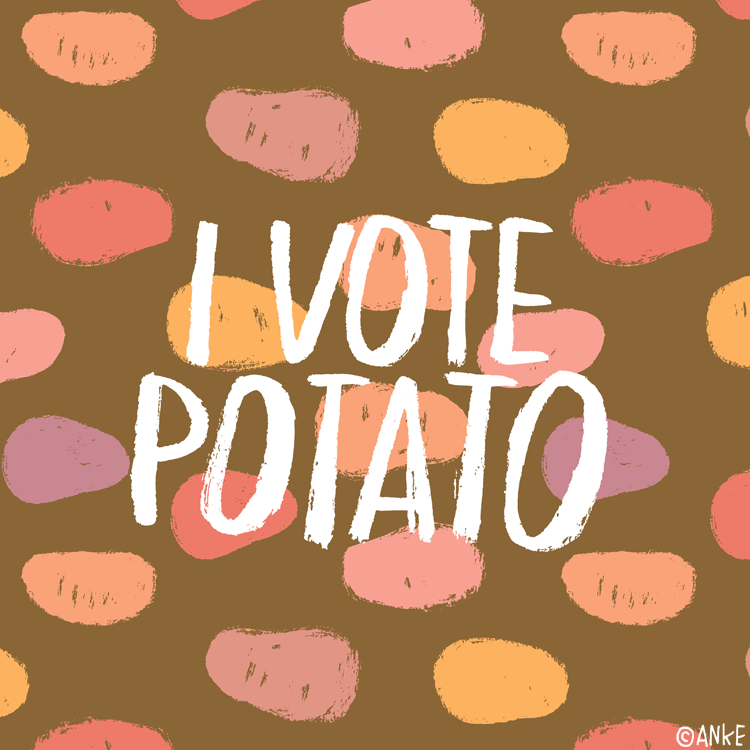 Inspired by this deep love, I made an I Vote Potato design last year and uploaded it to my Society6 account. 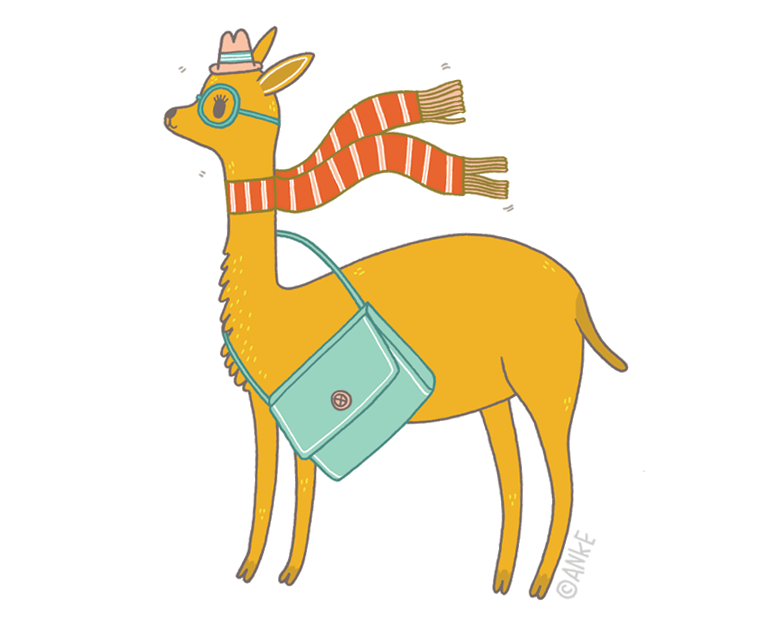 It was more out off silliness than anything else, but it turned out to be the best-selling design in my entire shop! 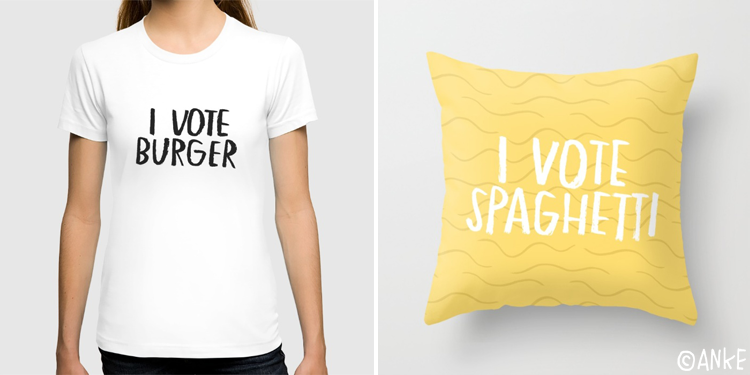 Since I don't just love potatoes, I decided to develop a whole Election Collection (including a new I Vote Potato design, which I like much better than the old one!). 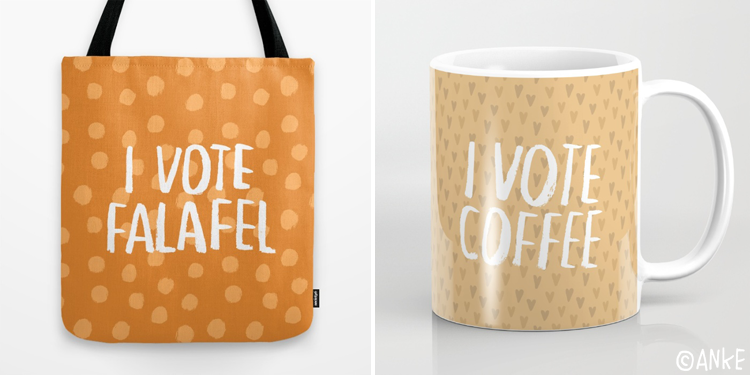 Society6 is a print-on-demand website and they offer a great range of products, so you can get these designs as prints, phone cases, bags, mugs, t-shirts and so much more. 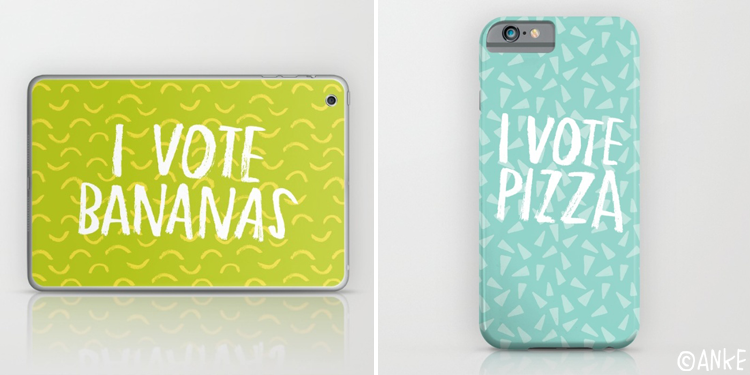 What do you vote? If you've ever met me, you know that I love to run! It's good advice not to start talking to me about it because I'll never shut up. Also, I'm living proof that you don't have to be good at it to enjoy it: I am a pretty slow runner, but it's one of my favourite things to do! 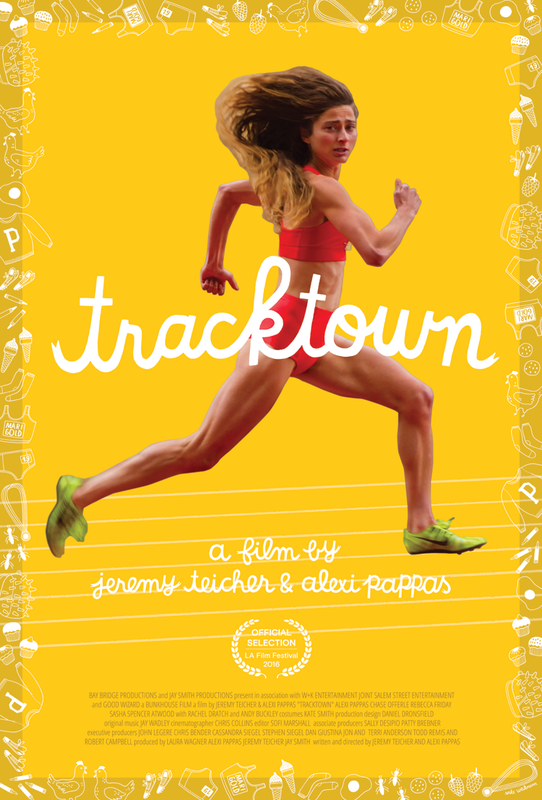 So when one of my favourite runners, Alexi Pappas, got in touch to ask if I wanted to work on her and Jeremy Teicher's second feature film Tracktown, I was super excited! Over the weeks that followed, I hand-lettered the title, the opening/closing credits of the film and some related elements, such as the pattern used around the edge of the poster. It was so much fun. Even more so because I loved the film! 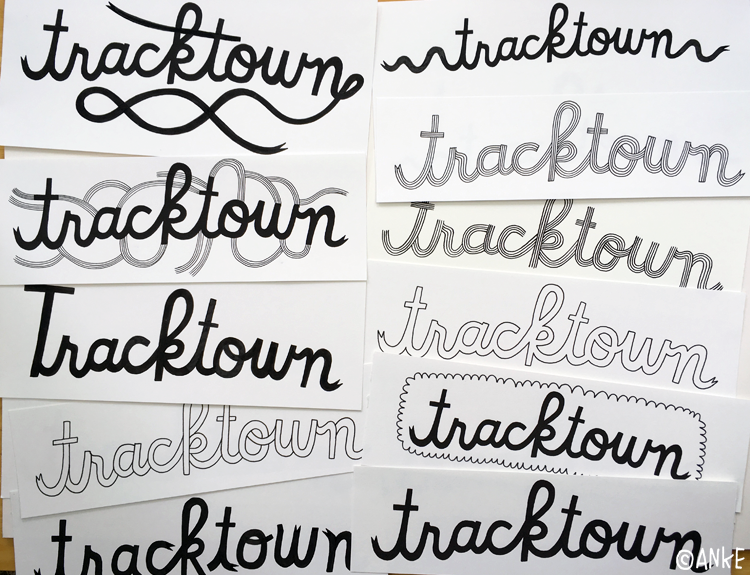 I think anybody who pursues a dream that people around them can't quite understand will be able to relate to Tracktown. I won't give too much of the story away, but if you're near Eugene, Oregon - go and see the screening on July 5th!